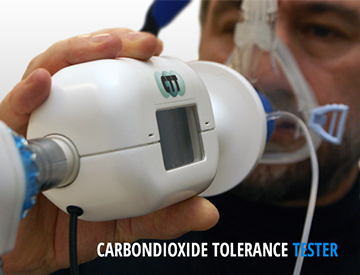 The carbon dioxide tolerance tester (CTT) is a research instrument that delivers information on several physiological parameters in provocation tests. The CTT is particularly relevant to research in the field of Panic Disorder, where it provides objective, time synchronous information about a persons’ sensitivity to panic. 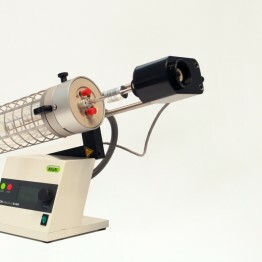 The instrument can be fine-tuned to your specific application, for example in the areas of research or diagnostics. Researchers can choose the physiological parameters relevant for their research. 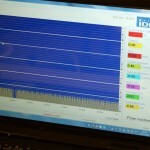 In diagnostic applications the instrument can deliver quantitative information about panic disorders. The CTT makes it possible to objectively determine peoples’ sensitivity to panic. The researcher can artificially induce symptoms of panic to the study participant in a safe manner. Participants inhale a controlled gas mixture consisting of 35% CO2 and 65% O2 through a protected inhalation system. 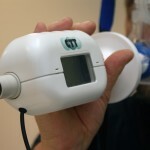 The inhaled gas volume and other physiological parameters are measured by different units. 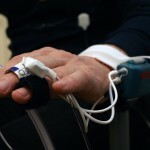 The resulting physiological data is made accessible in the software through a data-acquisition system. The data acquisition system collects physiological parameters in time related to the start of the provocation test. Additionally, the amount of inhaled breath is displayed in real-time and is linked to an earlier measured vital capacity value. This information indicates whether sufficient air is inhaled by the participant for a reliable measurement. 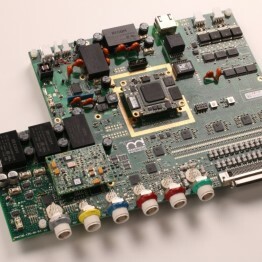 The system can be further developed for your specific application. From the available set of physiological parameters a desired palette can be chosen by the researcher. A system for diagnostic purposes can be developed to provide quantitative information on panic disorders. This objective information can be used complementary to widely used questionnaires. 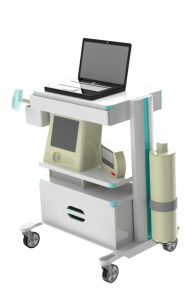 For more flexible and comfortable operation the system can be delivered on a mobile setup. 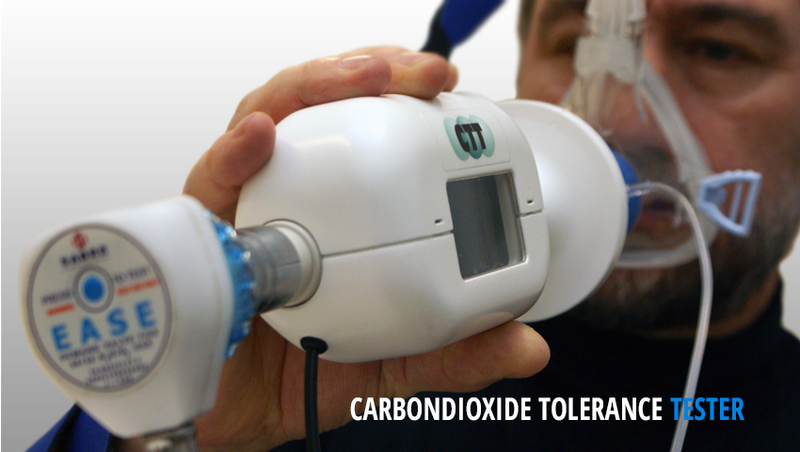 The system is developed in close cooperation with the research team of prof. Eric Griez and Dr. Koen Schruers, which is internationally recognised for their expertise in anxiety disorder research and the application of CO2 inhalation in this field. A video of the system in use in Katja’s Bodyscan can be seen below. Katja undergoes a CO2 challenge, a method and device that is used for diagnostics and treatment of panic disorders. The device induced a panic attach. By means of CO2 inhalation Katja was exposed to the bodily sensations that one also experiences when having a panick attach, such as heart fluttering, faster breath rate and tinglings. 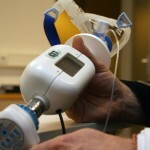 The technology is used in the anxiety centre for the treatment of panic disorders by means of interoceptieve exposure(link is external), which is unique in the Netherlands. Research prototype for experimental studies. Customer specific setup based on your requirements. Commercialization license for the research and care market. Maastricht University, Faculty of Health Medicine and Life Sciences, engineering service IDEE. Maastricht University, Faculty of Health Medicine and Life Sciences, School for Mental Health and Neuroscience, Department of Psychiatry and Psychology, under the supervision of Dr. Koen Schruers.